Busy Burr is Head of Innovation at Humana, where she and her team create leading-edge solutions that help improve members’ health, with a focus on reducing barriers for those with chronic conditions and advancing the concept of in-home care. She is a champion of human-centered design and building the patient experience and the physician experience of the future. Busy is the founding partner of Humana Health Ventures, Humana’s strategic venture group. Earlier this year, she was named to the Global Corporate Venturing (GCV) Power List for 2017, placing her among the top 100 corporate venturing leaders in the world. Previously, Busy was Managing Director of Citi Ventures, leading large-scale innovation efforts as Global Head of Citigroup’s DesignWorks. Busy has a unique blend of skills honed as a technology investment banker, VP of Global Brand Management at Gap Inc., Entrepreneur-in-Residence at eBay, and the Founder and CEO of a Silicon Valley startup. She holds patents (some pending) in mass-customization, alternative currency and social payments. Busy has an MBA from Stanford University and a BA in Economics from Smith College. She volunteers as a coach to entrepreneurs at Stanford and as a teacher for Citizen Schools. She is a longtime member of the Bay Area improvisation troupe Subject to Change. Emily Dreyfuss is a Senior Writer at WIRED, one of the top 10 technology news websites in the world. Reaching approximately 30 million people monthly, WIRED focuses on how emerging technologies impact breakthroughs and innovations in business, the economy, politics, security, science, design and culture. As Senior Writer at WIRED, Dreyfuss covers the intersection of technology and society, and is in a unique position to monitor trends, innovations and factors that influence the future. During the 2016 presidential election, she led WIRED's National Affairs coverage. Prior to that, she managed and edited WIRED Opinion and WIRED Security sections. Joe Geoghegan is a full-time traveler, sometimes worker, and native Louisvillian. Having not held a “real job” for the last year, he has instead explored “Real America” - inhabited by the 626 million Americans in the nations to our South. In October 2016, Geoghegan and his high school friend, Noah, left their desk jobs to take an impossibly-fast 6-month journey from Louisville to Antarctica - all without taking any planes. Two weeks into the trip - driving through Northern Mexico - things changed when Donald J. Trump was elected President of the United States and they were asked questions they didn’t have the answers to. 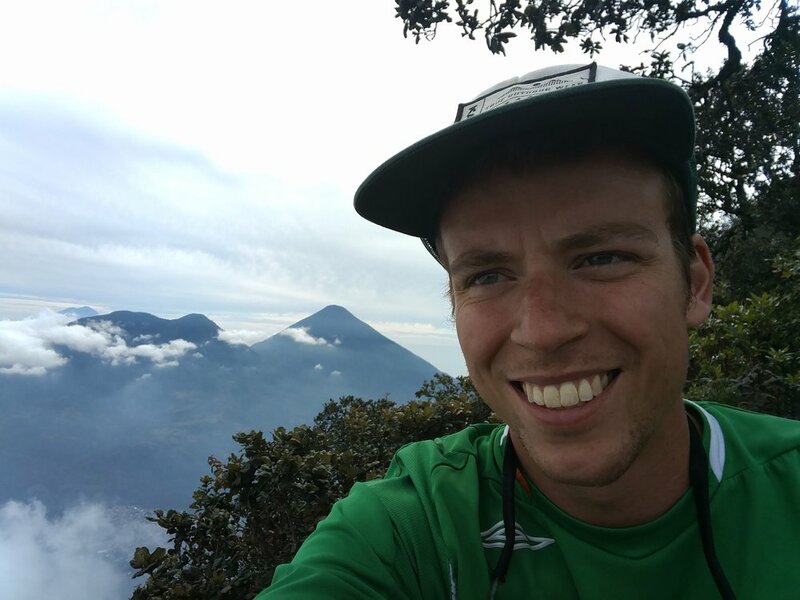 Since then, Geoghegan has talked with scores of people from dozens of countries as he and Noah traveled by car, bus, and boat through Central and South America. This experience has left an intense impression that traveling can make tourists and locals both better people and enduring ambassadors for unity in a fracturing world. As of July, Geoghegan is living in Australia via the Working Holiday Visa program. Founded in 2006, the Ghana ThinkTank is a worldwide network of think tanks, managed by John Ewing, Carmen Montoya and Christopher Robbins, creating strategies to resolve local problems in the "developed" world. The network began with think tanks from Ghana, Cuba and El Salvador, and has since expanded to include Serbia, Mexico and Ethiopia. In a recent project, problems were collected in Wales and sent to think tanks in Ghana, Mexico, Serbia, Iran, and a group of incarcerated girls in the U.S. Prison system. These think tanks analyze the problems and propose solutions, which we put into action back in the community where the problems originated—whether those solutions seem impractical or brilliant. Peter Gray is an American psychologist who currently occupies the position of research professor of psychology at Boston College. He is the author of a widely used introductory psychology textbook, Psychology, The book broke new ground when the first edition was published (in 1991) as the first general introductory psychology textbook that brought a Darwinian perspective to the entire field. He is also author of Free to Learn: Why Unleashing the Instinct to Play Will Make Our Children Happier, More Self-Reliant, and Better Students for Life and he writes a popular blog for Psychology Today magazine entitled Freedom to Learn. Gray is a well-known critic of standard educational systems and is frequently invited to speak to groups of parents, educators, and researchers about children's needs for free play, the psychological damage inflicted on children through our present methods of schooling, and the ways in which children are designed, by natural selection, to control their own education. Along with a group of other concerned citizens, he has created a website, AlternativesToSchool.com aimed at helping families find alternative, more natural, routes to education. Sponsored by Bernheim Arboretum and Research Forest with generous support from PNC Bank. Today Goonj is a pan-India movement working equally widely in cities and villages, dealing with more than 3,000 tons of material annually and addressing a core challenge of our time - the growing gap between the urban prosperity and rural poverty. Dr. Timothy S. Harlan is a board certified internist, chef, author and director of Goldring Center for Culinary Medicine at Tulane University. He has written It’s Heartly Fare, Hand on Heart, The Dr. Gourmet Diet for Coumadin Users and Just Tell Me What to Eat! : The Delicious 6-week Weight Loss Plan for the Real World. His work has been featured in The New York Times, The Wall Street Journal and on CNN, among other top-tier media outlets. Dr. Harlan won an Emmy award in 2002 for excellence in medical programming for his Dr. Gourmet Show television program.